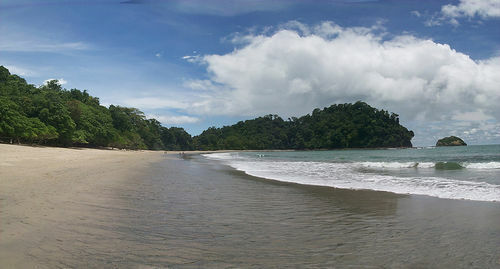 The Nicoya Peninsula is the longest peninsula in the country of Costa Rica, and is thereby a region full of beautiful beaches. One is Montezuma Beach, which is in the south of the peninsula, and has a scene of young people, backpackers, expats, artists and surfers. 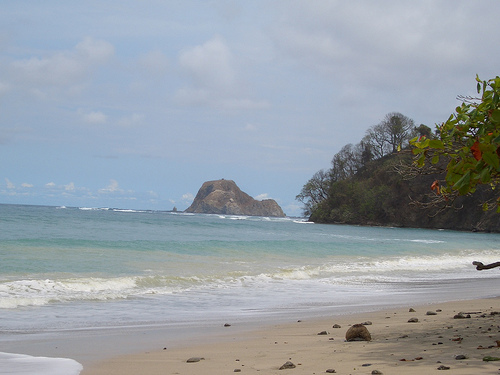 The most popular beach on this peninsula is Tamarindo, which located in the northwest of Nicoya, as it has sandy beaches, great surfing and nightlife. Tamarindo is also surrounded by lush forests to explore. Samara Beach is a more relaxed spot on the western coast of the peninsula, and people can go there for diving, surfing, hiking and other leisurely activities. Located on the Pacific Coast, Manuel Antonio is an extremely beautiful place, full of soft white sands and blue green waters, backdropped with jungle-infested hilltops and waterfalls. People can go scuba diving or snorkeling in the waters, or can walk into the jungle and possibly spot ocelots or monkeys. Though the beach is pristine, there is some civilization nearby with nightlife and dining. 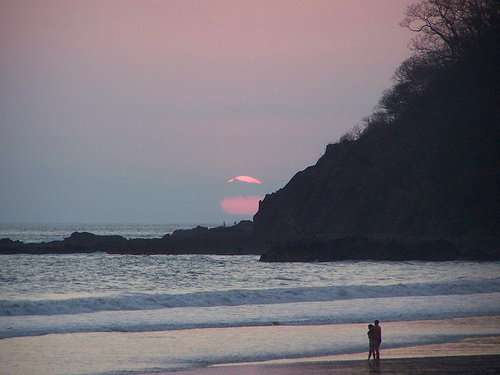 Playa Dominical is located in south Costa Rica on the Pacific, and is often noted to be the best surfing spot in the country. Those who are not into surfing can also go kayaking through caves, or simply walk on the beach and watch the pelicans. 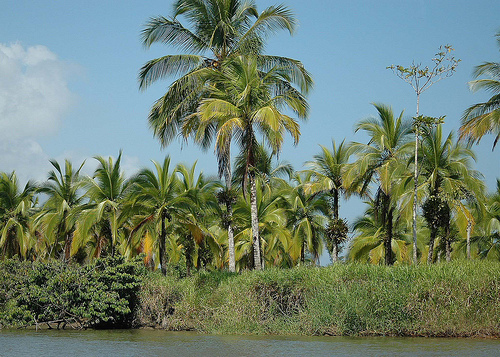 Tortuguero is a national park located on the Pacific side of Costa Rica. Part of it has fine, protected beaches that are full of nestling sea turtles; these sandy areas are also great for sunbathing. The rest of the park offers endless eco-tourism options, like taking canoes through canals or hiking to spot the rare and endangered species. 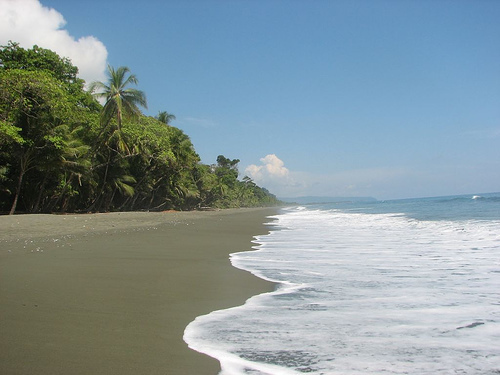 Corcovado is situated on the Osa Peninsula, and has dark-sanded beaches with towering palms above. This remote coast is a wonderful place to camp out, and there is a nearby forest with incredible biodiversity. 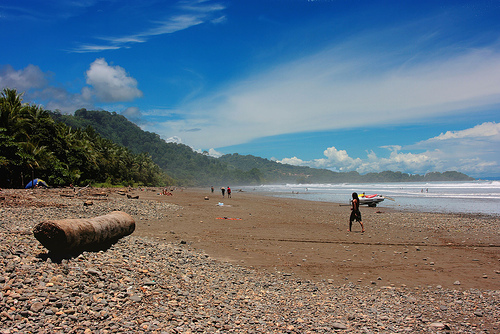 Jaco is located in the center of the Pacific Coast, and is a huge surfing spot. It is accessible from San Jose, and the town itself is built up with casinos and nightlife. 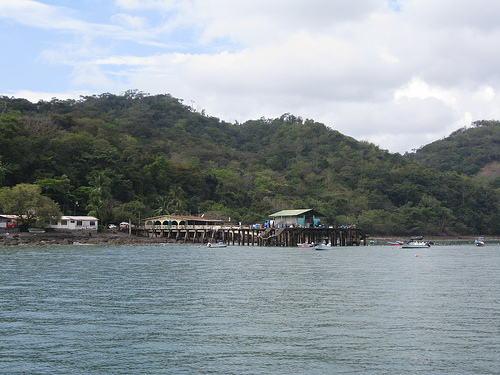 Tambor is a stunning, crescent-shaped bay. Lots of whales used to swim around these waters, but since it has been developed, most of them have gone away. Since it is a bay, the waters are mild, making it a good place for swimming and snorkeling.